Hello! I am Jenny Donheiser! I am a proud graduate of New York University’s Tisch School of the Arts where I studied Drama at the Atlantic Acting School and Stonestreet Studios. I am a founding and current ensemble member of Pipeline Theatre Company and a graduate of both the Improv and Sketch programs at the Upright Citizen’s Brigade. I co-created the Webseries "Roomsies" and Sketch Groups “KliTit” and “Lady Products” which have been featured on several prominent comedy sites. 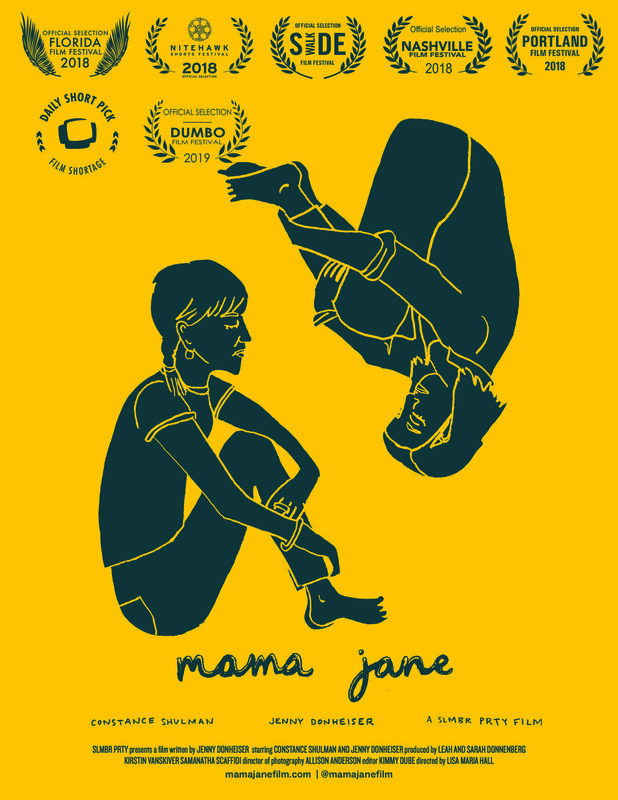 My short film “Mama Jane” is currently showing in film festivals around the country. Mama Jane is a new short film, written by and starring Jenny Donheiser. Jane (Constance Schulman, Orange Is The New Black) returns home to New York and spends a night with her daughter, Katia (Jenny Donheiser) before she is scheduled to take an estranged relative off of life support. Jane and Katia grapple with their feelings of loss as they reflect on their own relationship through an evening of laughter, tears and supreme honesty. This film asks the questions: Do we get to choose what traits we inherit from our mother? Can we recognize and embrace those we admire and reject the ones we don’t? And ultimately, are we capable of changing old patterns before it reaches the next generation?